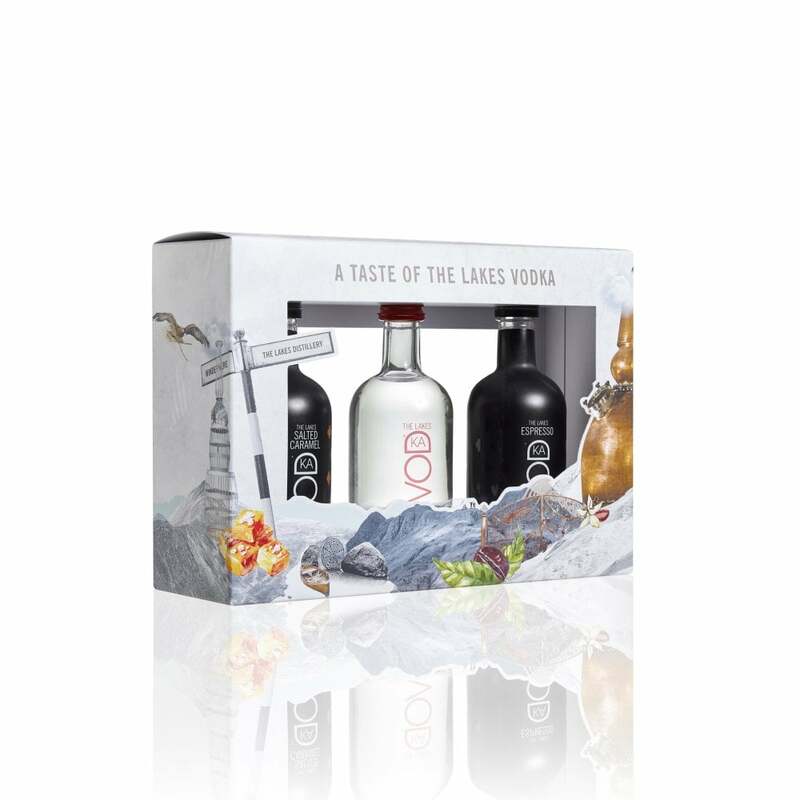 A unique gift box set containing three 5cl tasting miniatures from The Lakes Distillery. 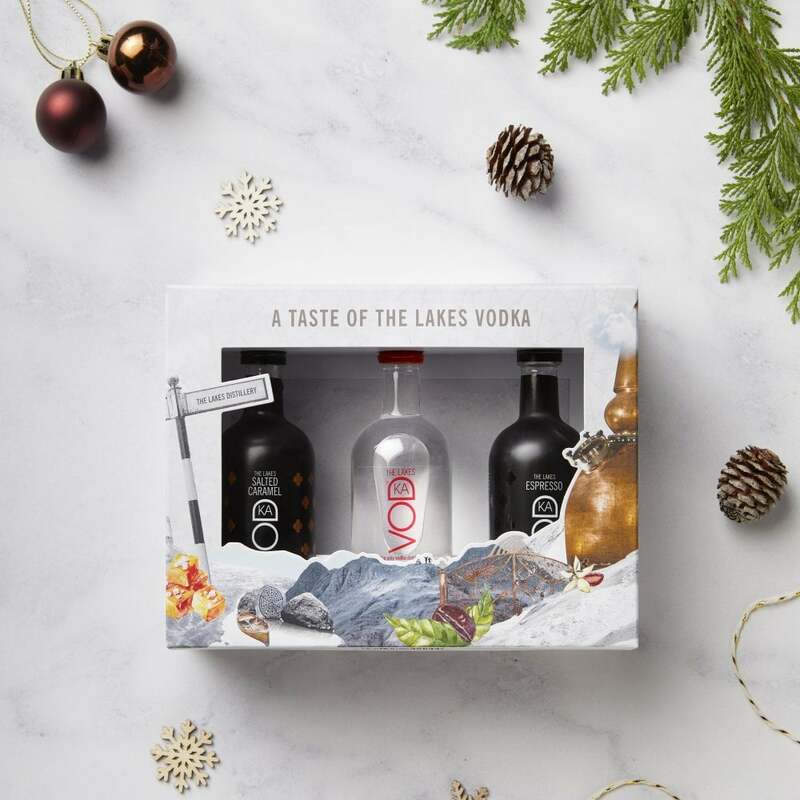 Featuring the favourite Lakes Vodka, an artisan vodka handmade in our traditional copper pot still, and the popular Lakes Salted Caramel Vodka Liqueur and the Lakes Espresso Vodka Liqueur. 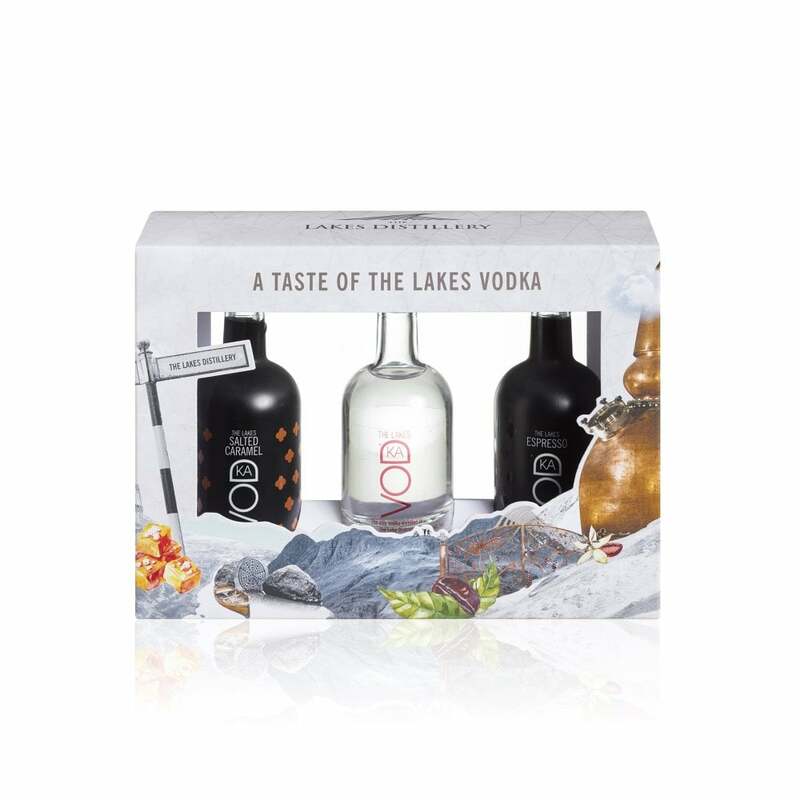 This unique trio gives a vodka lover a real ‘taste of the Lakes’, sampling some of our most popular spirits made in the heart of the Lake District. Try creating your own Espresso Martini or for a simple serve with a twist, try the Salted Caramel Liqueur in apple juice.